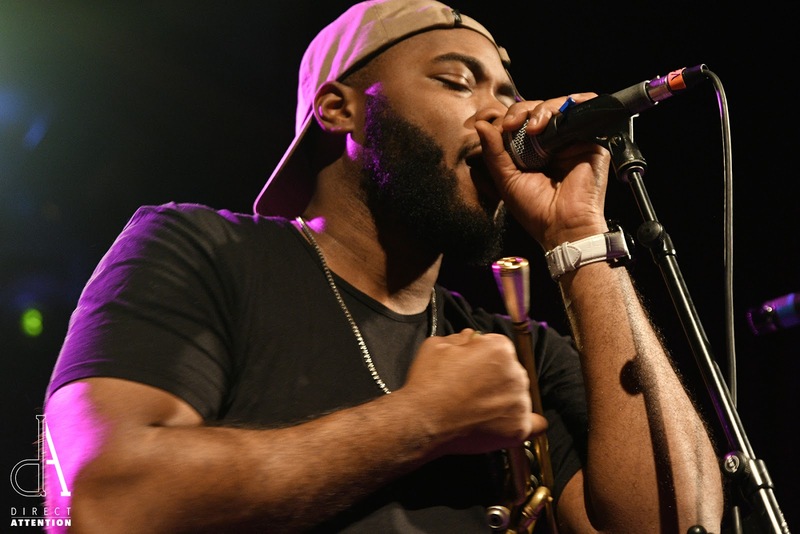 The Rebirth Brass Band got beaucoup crasseux at the Bluebird Theater. This New Orleans institution brought the Creole flavor to Colorado. In 1983, brothers Keith and Philip Frazier (on the bass drum and tuba respectively) founded the company. Their ensemble is composed of marching band peers and family members, giving the company a vibrant and local NOLA history. The group is considered one of the foremost revivalists of the brass band movement and is known as one of the best brass bands in the world. Regardless of Rebirth's widely recognized, Grammy-winning status; their set-up was notably DIY. The lineup currently consists of the before mentioned brothers, along with Derrick Tabb on the snare, Glenn Hall on trumpet, Vincent Broussard on saxophone, and Stafford Agee and Gregory Veals on trombones. Each player prepped their areas and sound checked their instruments, ensuring the tuning was just right. The attention to detail demonstrates the love, care, and precision that goes into each concert. Immediately after coming on stage, the players filled the auditorium with a bright, joyful sound. Even the grouchiest of grinches couldn’t help but get into the holiday spirit as the sound of happiness exuded from the brass. The two drummers casually kept time supporting a framework of beautiful, funky fusion that Rebirth steadily delivers. Though Coloradans remain blessed with a steady diet of top-shelf musicians, this soulful serving was a treat. It may have been a brisk night in Denver, but inside the Bluebird, Rebirth Brass Band was giving off plenty of heat. These southern gentlemen danced the crowd down to the bricks of Bourbon Street, bringing out favorites like "Feel Like Funking it Up," "Do What You Wanna," and "Move Your Body." A brief appearance by Santa, paired with a high caliber of groovy melodies had the audience moving in a jovial spirit regardless of age, race, or creed. All manner of crowd participation was encouraged as the audience clapped and sang along to these familiar, feel-good songs. 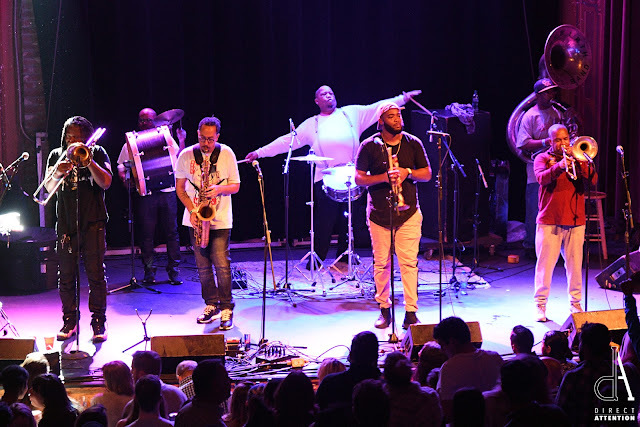 Rebirth Brass Band knows how to "Laissez les bon temps rouler," and showed Denver a great time over this holiday weekend. Friday night primed the Bluebird for an encore appearance on Saturday for those lucky enough to catch both performances, leaving the crowd more than ready to celebrate with happiness and joy. If you missed this weekend's shows, you could witness Rebirth Brass Band every Tuesday at the Maple Leaf Bar on Oak Street in NOLA, or upon their return to Colorado at Washington's in Fort Collins March 22nd.